Sleep or better yet the lack of it is fast becoming a global problem these days. More often than not, you’d struggle to get that forty winks because of numerous distractions to your environment. 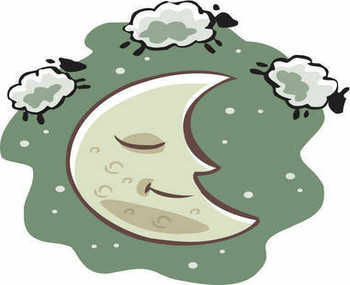 You don’t even have to go far to do something about your sleeping problems because traditional remedies included counting sheep. However, we have long since upgraded ourselves with the help of technology. Why do things manually when you are not even guaranteed of successful results if there are tech innovations that are designed to make our lives easier and at the same put an end to many of the problems we face today. It is not a futile effort too as we all know now that a lot of people are struggling to get a good night’s sleep because of the myriad of distractions that are littered in the online and real world. Some of these innovations are actually kind of interesting and amusing to the general public because they have some of the weirdest ideas but at times they do work. It may not work for everybody but it does for some and that’s all that matters. The market for sleep technologies is so big that someone is bound to find a specific gadget useful in their life. And the market is so big, always keep that in mind. Who needs to count sheep when you can try a state-of-the-art device like Shleep, and it sounds catchy too it is easier for name recall. If you’re part of the wellness set, plenty of sleep is the new status symbol – a luxury ideal to be coveted. With this comes an opportunity to monetise the elusive ability to power down. The sleep industry is a multi-billion-dollar market. Like many other lifestyle areas, there is now a plethora of apps, gadgets and wearables supposed to help us sleep better and make counting sheep a thing of the past. From smart bulbs that emit a type of light that helps you fall asleep, to goggles that claim to reset your internal clock by emitting a green-blue light for up to half an hour a day, there is no shortage of tech solutions if you’re having trouble trying to get quality shut-eye. A new device, Sense, “sits on your bedside table, helping you to fall asleep, improve your sleep, and wake up feeling great”. The Nightingale is a white noise machine that works with the acoustics of your room to cancel out sleep-disrupting noise in surround sound. And Magnesphere, a huge circle you sit in while your body is hit with magnetic resonance, is meant to balance the nervous system. The good thing about sleep technology is that you can now customize it. Most makers allow for an interactive experience where you can input your details and they will come up with results that are unique to you and depends on your response to the gadget. All these things are designed to help as many people overcome their sleep woes because only a small percentage of the population today still get to sleep that recommended eight hours of sleep daily. Yes, it has a funny name but in an emerging tech field from Alibaba to Zenith, the new sleep app Shleep is getting a lot of attention for its clever interface, its complex approach to assessing energy and sleep, and a platform backed by hard science and a Dutch team’s deep background in sleep studies. Debuting at CES 2018, Amsterdam-based Shleep held its own against a raft of sleep-related apps and technologies ranging from to a four-part system that includes a visor, a cream, and neuroacoustic software. Instead of gadgets and gizmos, the Shleep app offers a cool, comforting interface featuring company mascot “Shleepy,” but it’s one built around a philosophy involving understanding and behavior change. In short, the company believes the better a person understand that certain behaviors lead to disturbed sleep and increased risk of disease, the easier it is for them to change their behavior. We need sleep in as much as we need money to live. Remember that your body will make sure you pay for all the neglect and abuse you are doing to your body now while you are still younger. Everything degenerates over time and it includes your body. Sleep is a restorative process and it is meant to recharge your body so you are always in your best shape but because sleeplessness has become an epidemic as of late, you need more than just your willpower to overcome it. Hence, these sleep technologies may come in handy at times when you always find yourself tossing and turning each night rather than getting that much-deserved snooze. However, most of these devices won’t work for diagnosed sleep disorders like sleep apnea. What you need is a doctor-approved treatment plan or devices that are designed to get to the root cause of this disorder such as https://snoringmouthpiecereview.org/zquiet and https://snoringmouthpiecereview.org/vitalsleep that maintains your airway open while you are sleeping, eradicate the breathing pauses, and at the same time reduces the snoring sound many people find so annoying.